Karl Lagerfeld is creative director of Chanel since 1983. Chanel’s classic items were transmuted into casual exoteric style by Lagerfeld. His gray hair and sunglasses are symbolic appearance. This tweed suit was part of 2011 spring/summer collection. It was held at Grand Palais in France. 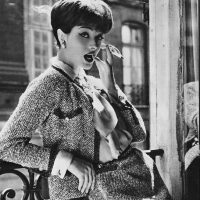 Tweed suit is Chanel’s iconic piece. Lagerfeld reinterpreted classic tweed suit in his own way. Contrary to the classic tidy boucle and tweeds favored by Coco Chanel, Lagerfeld put more informal and young sense in his tweed suits. 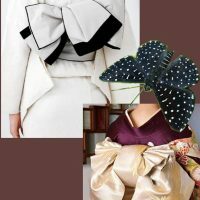 His design seemed to be inspired by moths, punk and Japanese design. The film “Last Year at Marienbad” was one of his inspiration for whole collection also. 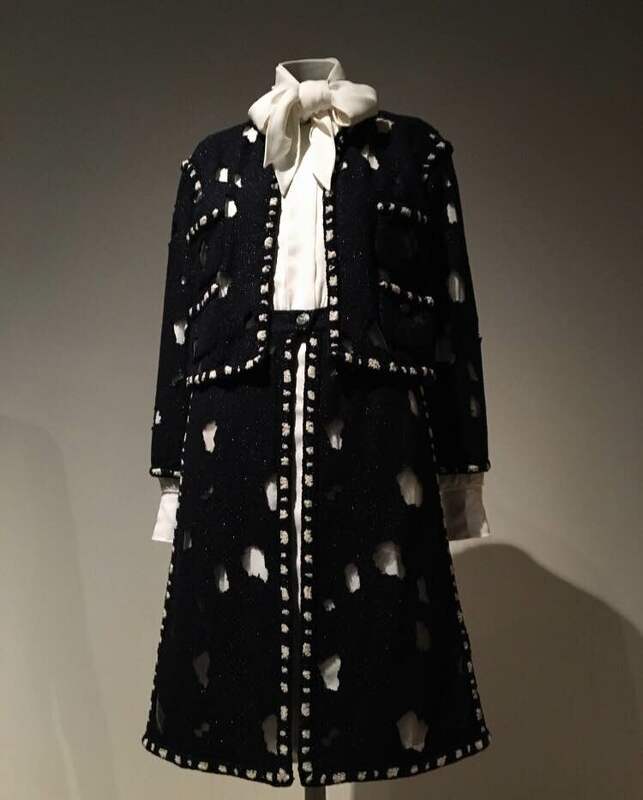 According to caption in exhibition “Jacket and skirt are made of navy and cream cotton-acrylic-nylon-polyester tweed with ivory nylon net. Blouse is made of ivory rayon twill.” There are holes which were supported with fine net and the edges are equisitely stitched to prevent unraveling. Lagerfeld also wanted to add slight mix of punk to his collection. 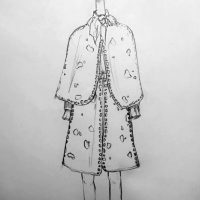 Lagerfeld has been continued re-imagining the traditional fabrics. 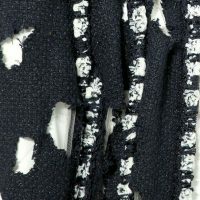 In this collection he distressed them with selvedge, ragged edges, and a lattice of perforations. 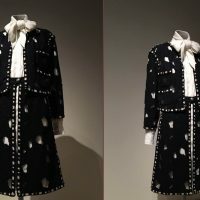 There is no opened production process for this collection but I found a video about haute couture suit production process. 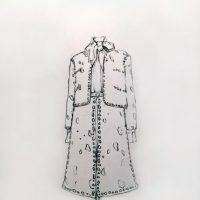 Madame Jaqueline works for garments after complete understanding of Lagerfeld’s sketch. 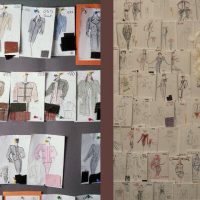 Process includes measuring, muslin basting, fitting, real fabric basting, editing and keep on editing… It saids “One touch of Mademoiselle’s spirit, one stroke of Karl Lagerfeld’s genius, 130 hours of craftsmanship”. I took this photo at “Unpacking Fashion” exhibit in Met museum. Among many masterworks, I chose this piece because I usually liked tweed suits and wanted to learn more about it. This is final product drawn by me. This is new version which I created in different style. I changed jacket into cape style. These are same fabrication but different design pieces from same collection.